Mt. Fuji as seen from the town of Omiya (also known as Fujinomiya) in Shizuoka Prefecture. Omiya was a post town on the main road between Suruga and Kai Province (also known as Koshu). 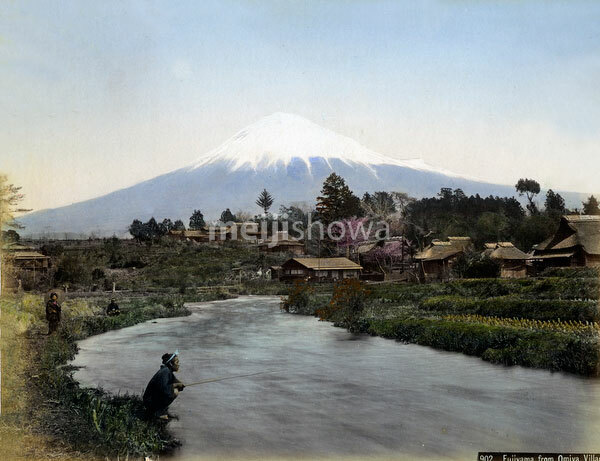 In 1860 (Mannei 1), British consul Sir Rutherford Alcock (1809–1897), the first British diplomatic representative in Japan, made the first recorded ascent on Mount Fuji by a non-Japanese from here.